Jesus said, “No one is good, except God alone” (Lk. 18:19). 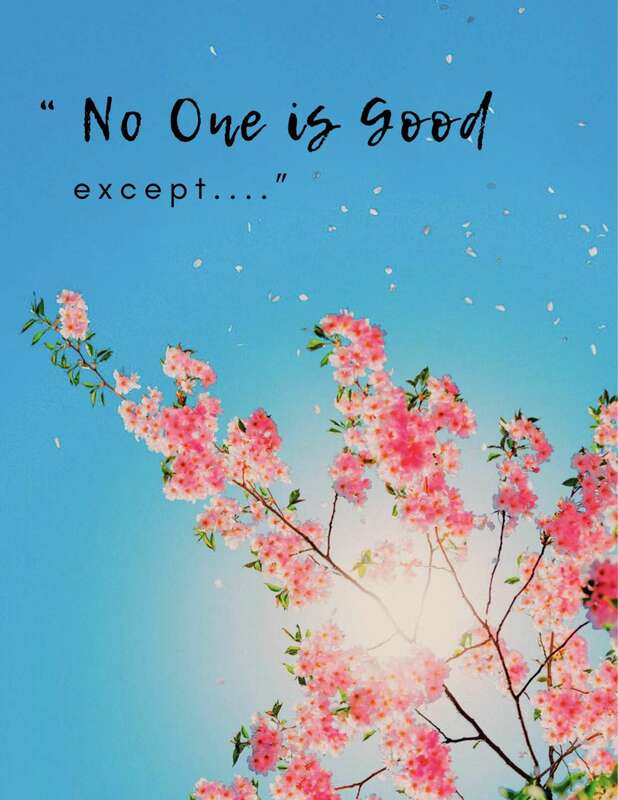 Jesus said, “No one is good, except God alone”. Yes, God alone is good and all the goodness of deity shines in Him. In our own personal experience we find Him to be good, indeed so good that all the good that we have, come from and through Him. He was good to us when we were dead in trespasses and sins, for He raised us by the power of His Spirit. He has been good to us in all our needs, trials, struggles and sorrows. He has been good to us even when we were rejected by our friends and relatives alike. He has been good to us when we are in the midst of and surrounded by problems. So we enjoy living for Him and serving Him. His service is freedom, not slavery; His rule is love, not servitude; His manner is gracious, not burdensome; His yoke is easy and soft and He is unspeakably good. Say it aloud even as you read this, ‘God is good all the time, and all the time God is good’.